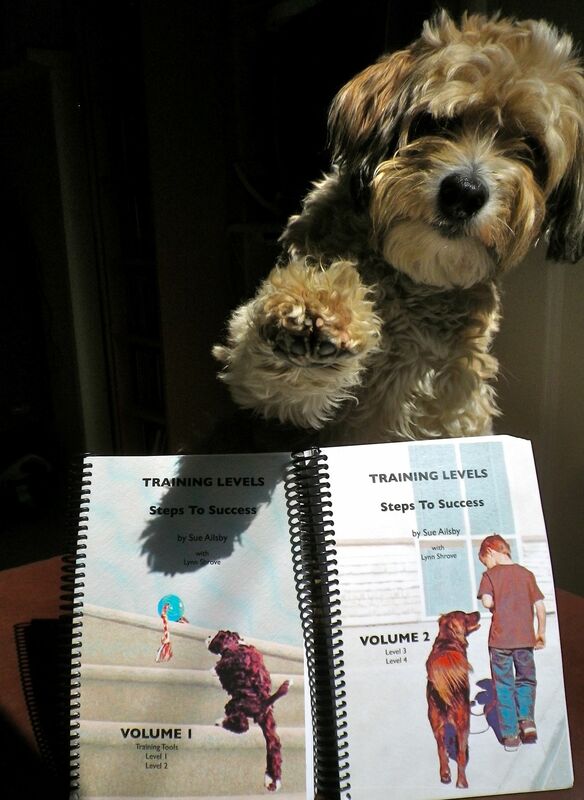 The classes are based on a dog training manual written by Canadian trainer Sue Ailsby (known as Sue Eh?). I came across her writing while trawling the internet looking for any information on dog behaviour, development and aggression, following the sad passing of my puppy Noodle. I found an article called “A Crateful of Teeth” which led me to Sue’s website. I was very lucky to stumble across her writing at this stage as it led me down the route of operant conditioning – a scientifically proven training method which makes learning fun, fast and stress-free for the dog. Sue’s articles are both entertaining and inspiring, but even better, she has made a whole training programme available for free. Any dog owner can follow this well thought out and comprehensive set of instructions a foundation of behaviours which can lead to any dog sport, or simply an easy to live with family pet. On their own, the instructions could be a challenge to follow, but support is available in the form of a yahoo group. Members of the group are encouraged to video clips of their training sessions, and any problems encountered, and post them on Youtube for feedback. Some of the other group members are excellent trainers in their own right and have many years of valuable experience to offer. Their advice has led me to other fabulous trainers and useful books which I’ll list in another post.